The FC Barcelona defender reveals his top players of all time in every position, in the latest edition of My Top 4. Find out who he chose in the accompanying video! Gerard Piqué has played alongside -and against- some of the best players in football's recent history. The Barça defender, who recently renewed his contract with the club through to 2022, is hugely popular among fans at the Camp Nou, but who are his favourite players? 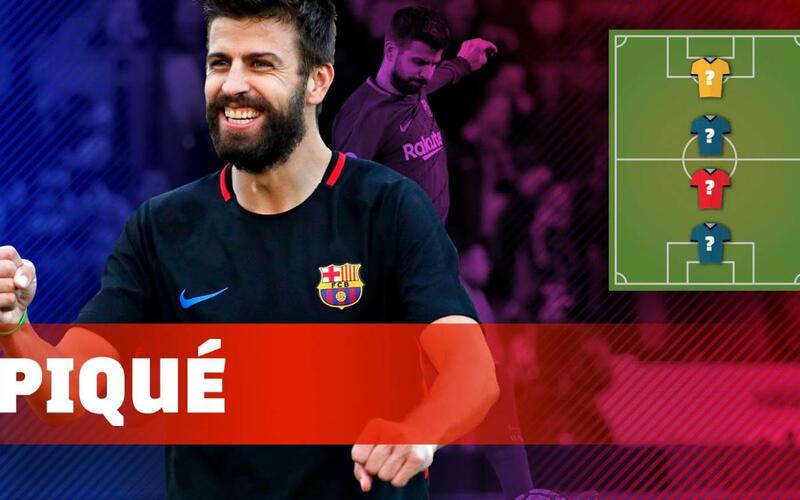 In this video, Piqué picks a goalkeeper, defender, midfielder and striker who have made the biggest impression on him. Some are former teammates at Barça. Find out who they are!